Donavan Dunn is trained to drive fragile Medicaid patients like Maddie Holt of Everett, Wash., to health appointments. 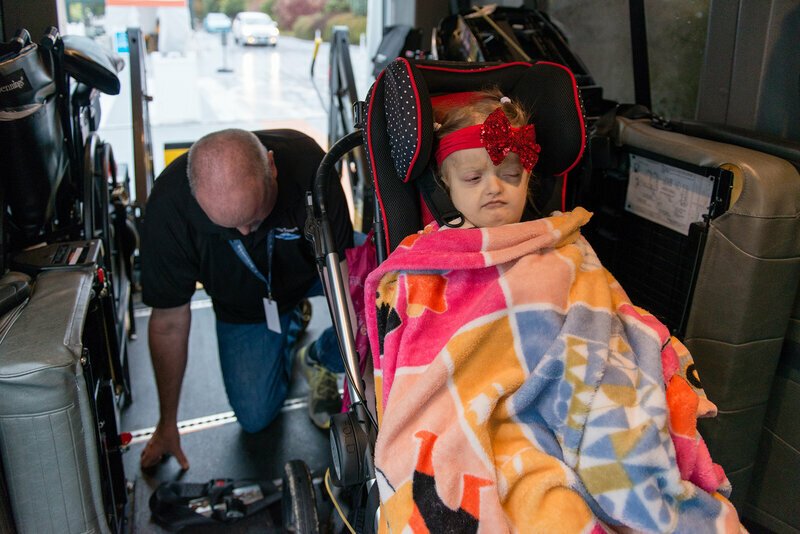 Unable to walk or talk, barely able to see or hear, 5-year-old Maddie Holt of Everett, Wash., waits in her wheelchair for a ride to the hospital. The 27-pound girl is dressed in polka-dot pants and a flowered shirt for the trip, plus a red headband with a sparkly bow, two wispy blond ponytails poking out on top of her head. “We lost everything when Maddie got sick,” says Meagan Holt, now 27. 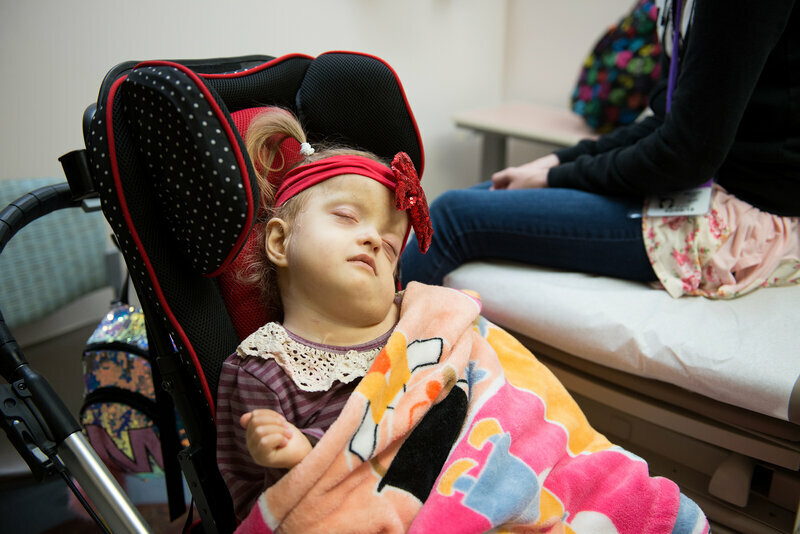 The only way Maddie can make the trip, which is more than an hour each way, is through a service provided by Medicaid, the nation’s health insurance program started more than 50 years ago as a safety net for the poor. Called non-emergency medical transportation, or NEMT, the benefit is as old as Medicaid itself. It requires the transport of certain people to and from medical services like mental health counseling sessions, substance abuse treatment, dialysis, physical therapy, adult day care and, in Maddie’s case, visits to specialists. However, citing runaway costs and a focus on patients taking responsibility for their health, Republicans have vowed to roll back the benefits, cut federal funding and give states more power to eliminate services they consider unaffordable. More than 1 in 5 Americans — about 74 million people — now rely on Medicaid to pay for their health care. That includes nearly 104 million NEMT trips each year at a cost of nearly $3 billion, according to a 2013 estimate, the most recent. They also contend that changes will help curb what government investigators in 2016 warned is “a high risk for fraud and abuse” in the program. In recent years, the Centers for Medicare & Medicaid Services (CMS) reported that a Massachusetts NEMT provider was jailed and fined more than $475,000 for billing for rides attributed to dead people. Two ambulance programs in Connecticut paid almost $600,000 to settle claims that they provided transportation for dialysis patients who didn’t have medical needs for ambulance transportation. Another Republican proposal in 2017 would have reduced federal funding for the NEMT program. 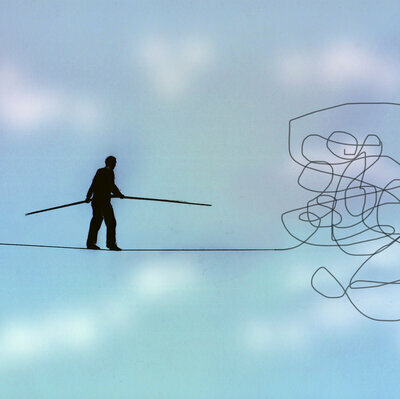 It failed, but other efforts by individual states still stand. But there is some flexibility for states already. 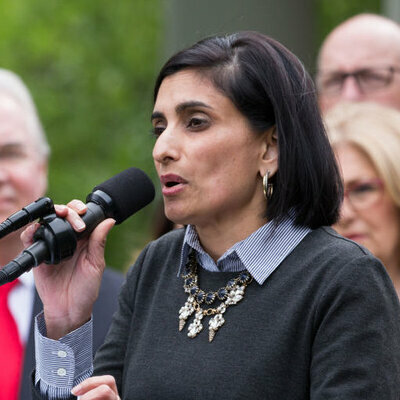 Former Health and Human Services Secretary Tom Price and CMS Administrator Seema Verma encouraged the nation’s governors to consider NEMT waivers, among other actions, in a March 2017 letter. At least three states — Iowa, Indiana and Kentucky — have received federal waivers and extensions allowing them to cut Medicaid transportation services. Massachusetts has a waiver pending. “I wouldn’t be surprised to see more of these waivers in the pipeline,” says Joan Alker, executive director of the Georgetown University Center for Children and Families. Because medical transportation isn’t typically covered by the commercial insurance plans most Americans use, it’s unfamiliar to many people and could be seen as unnecessary, says Eliot Fishman, senior director of health policy for Families USA, a nonprofit, nonpartisan consumer health advocacy group. Formerly a Medicaid official in the federal government, Fishman calls the transportation program “vital” not only for children with severe disabilities, but also for non-elderly, low-income adults. Maddie Holt, 5, was born with a rare genetic condition called Zellweger syndrome and is unable to walk or talk and can barely see or hear. In a 2014 survey of Medicaid users, CMS found that lack of transportation was the third-greatest barrier to care for adults with disabilities, with 12.2 percent of those patients reporting they couldn’t get a ride to a doctor’s office. That same study analyzed costs for providing NEMT to patients facing 12 common medical conditions and found that providing additional transportation is often cost-effective because patients who got to a health appointment stayed healthier. Still, some Medicaid clients struggle without transport services. Fallon Kunz, 29, of Mishawaka, Ind., has cerebral palsy, migraine headaches and chronic pain. She uses a power wheelchair. When she was a child, she qualified for door-to-door service to medical appointments, she says. Kunz is studying psychology online at Southern New Hampshire University. She lives with her father, whose home is outside the route of a Medicaid transit van. Getting to and from medical appointments for her chronic condition is a constant struggle, she says. Taxis are too expensive: $35 each way for a wheelchair-enabled cab. In Maddie Holt’s case, she is one of hundreds of NEMT-eligible children transported to Seattle Children’s each month. Last September, for instance, more than 1,300 clients made more than 3,600 trips at a cost of more than $203,000, according to the Washington Health Care Authority, which oversees the state’s Medicaid program called Apple Health. Dunn carefully loads Holt into the van as her mom, Meagan Holt, looks on. 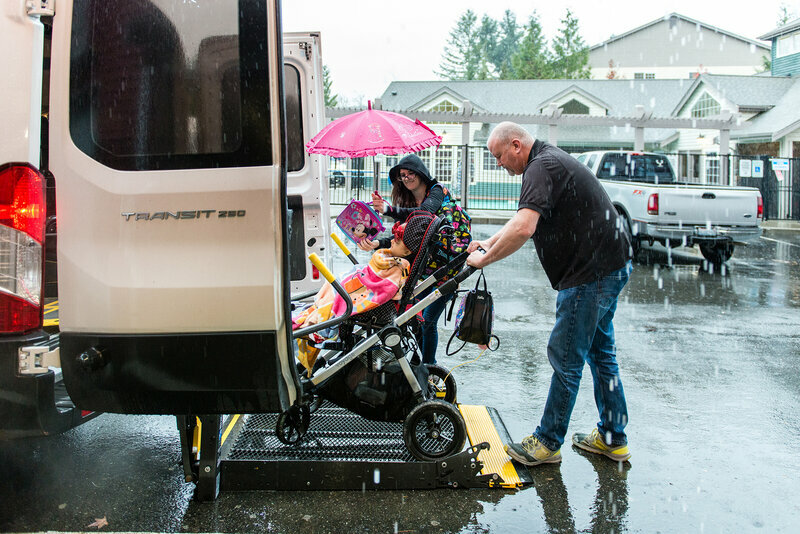 “When we realized how much transportation is a barrier to getting to your appointment, we decided to do something about it,” says Julie Povick, manager of international exchanges and guest services at Seattle Children’s. But Verma, the architect of Indiana’s Medicaid overhaul plan, has suggested that too much handholding might be “counterproductive” for patients and bad for the country. “[Ninety] percent of [Healthy Indiana Plan] members report having their own transportation or the ability to rely on family and friends for transportation to health care appointments,” Verma notes in a 2016 Health Affairs essay. But there are some who can’t.